Taiwan’s best and brightest minds focused on bending our perceptions of reality will be converging on Vancouver this weekend to take part in a major global summit on a growing technology industry. The contingent from the East Asian island will be joined by executives from tech giants such as Google, Microsoft, Intel, Amazon, Facebook and Adobe, game engine company Unity, telecom companies Telus and Verizon, a string of consumer brand names and the Pentagon. The summit is a chance for emerging companies in what could be argued is now an established industry to connect with bigger players, venture capitalists and universities; to connect and share what problems they’re tackling and what solutions they’re offering. 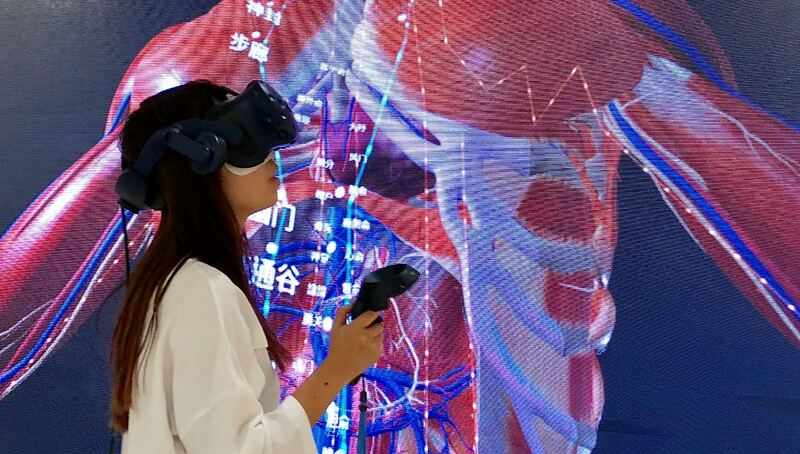 Augmented Intelligence Inc will be showcasing its tools for medical simulations, which can enable a medical student, doctor or patient to view a living body from any angle and at up to seven times its actual size. It can highlight various anatomical systems for training or even simulate a delicate brain surgery on a replica of an actual patient. The company’s BodyMap is a hands-on medical tool which the Beijing University of Chinese Medicine uses for its acupuncture training, and which could be applied in any situation to help users better understand 2D textbook contents. Being able to access one at any serious research university or hospital would reduce the risk of damaging scarce cadavers, allowing unlimited trial-and-error tests of human anatomy. Augmented Intelligence’s Digital Twin quickly creates a medically accurate avatar for specific patient modelling as well as student and resident education. In short, it creates a digital model of you — the patient — letting you see lesions and internal damage from all angles with a sense of depth and distance. The benefits are endless for both patients and medical professionals, who can collaborate in real-time to plan a surgical procedure. Think of any medical procedure you or someone in your family needed, say, a tonsillectomy or adenoidectomy for a child who catches every cold or a routine annual check-up that leads to a melanoma discovery. And now imagine walking through it — perhaps literally in the case of a hip replacement or knee tendon tear — with your doctor and your Digital Twin as they explain what has happened and what the treatment options are. iStaging Corp, meanwhile, wants to give you not the end-product of VR but the ability to create it yourself. Its VR Maker product uses a fisheye lens and a rotator to help realtors, retailers and designers in more than 180 countries turn out immersive walkthroughs and wraparound views. Several multinational real estate firms use it to bring renters and buyers closer to the spaces they want to explore, and the company already has an e-commerce partnership with China’s online marketplace Alibaba, diamond company Tiffany & Co and French bank BNP Paribas. Its solution is ideal for real estate, design and retail industry use in transcending space and has even been recognized by Google as Street View ready. While iStaging is letting realtors show off their properties, FolliaVR is enabling potential home-buyers to create their dream homes in virtual reality. With a headset and two hand controllers a user can view a floor plan and filter through different material and colour options for flooring, fittings and furniture that can be flung into position with ease. Lights can be adjusted for brightness and tone and the look of the entire room will respond. The last two companies flying in from Taipei for the Friday-Saturday summit are both animation companies but are targeting very different age groups. 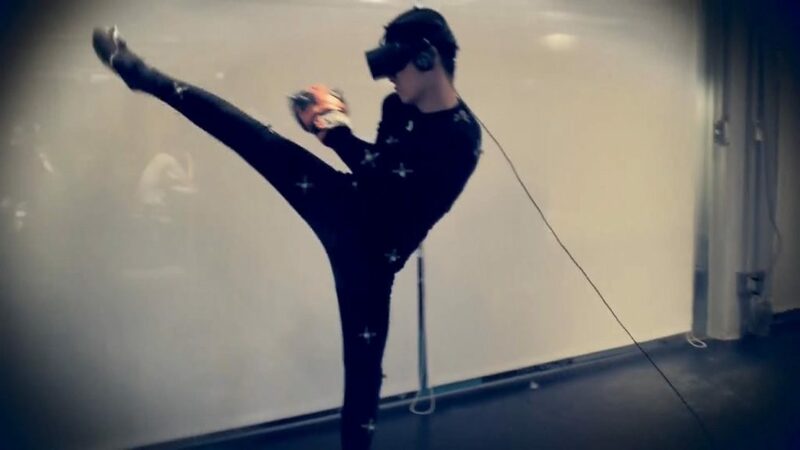 Moonshine Creation Ltd has created a Street Fighter-style virtual reality e-sports game in which the movements of a player’s key body parts are mapped to a robot avatar engaged in on-screen and in-headset combat. Meanwhile, studio2 ANIMATION LAB created a 25-episode virtual reality series about its beloved animated cat Barkley and friends in 2016, otherwise known as the first year of VR.